This Essteele Per Vita 24cm/ 7.1L covered stockpot is a pleasure to cook with thanks to the solid copper that is spread across the induction suitable base, allowing heat to disperse evenly and quickly. This results in optimum heat control and perfect cooking conditions favoured by the most discerning cooks. The elegant and refined design is crafted from high quality polished stainless steel for superior durability and shine. 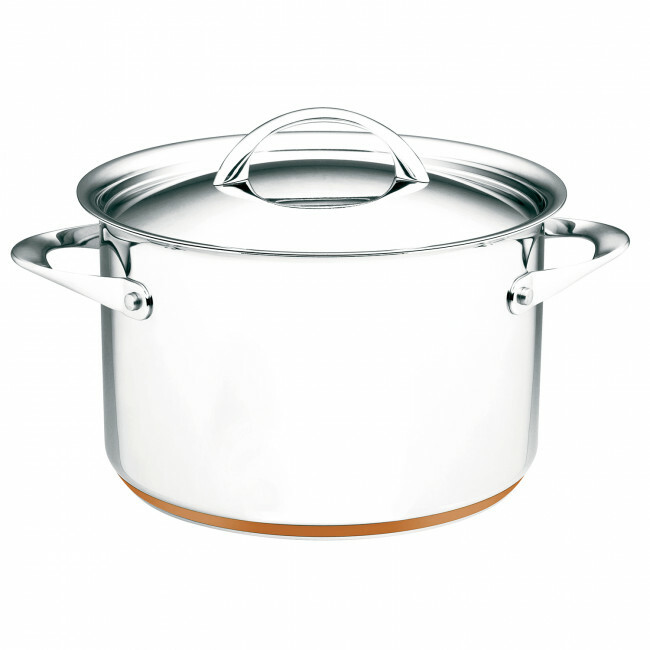 Handles and lids crafted from stainless steel ensure this 24cm/7.1L stockpot will last a lifetime. The stockpot is dishwasher safe, and oven safe to 240°C for added convenience. 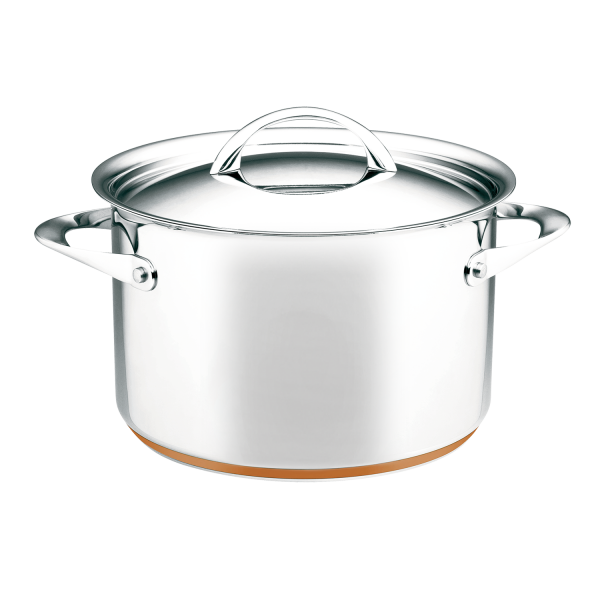 Essteele Per Vita 24cm/7.1L Stockpot is rated 5.0 out of 5 by 1. Rated 5 out of 5 by Biningo from He who hesitates...... I ask myself why I persevered with old cookwear. The answer is it was a wedding gift. Yes it was good quality in “its day” . It has been a dream to cook with my new pot and I’m sure it tastes better.